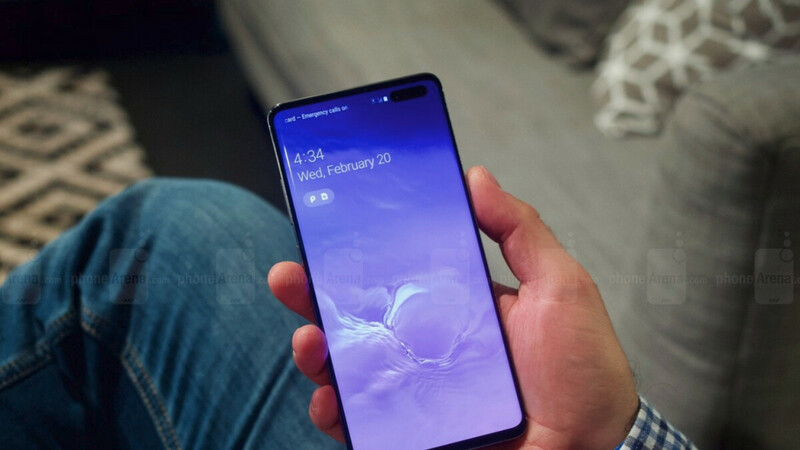 Samsung's first 5G smartphone, the Galaxy S10 5G is set to debut in April, but the phone will not be available in the United States initially. Even though Verizon has already confirmed it will exclusively offer the Galaxy S10 5G in the US, the high-end phone is expected to arrive at all major carriers in the country after a while. Unfortunately, we don't have any information regarding the launch date of the Galaxy S10 5G in the US, but we do know it will hit shelves in South Korea in April. Until we get more details on the matter, let's take a look at six key features of the flagship, as listed by Samsung earlier today. As you might have already guessed, the Galaxy S10 5G is Samsung's fastest phone to date. Thanks to 5G speeds, users will be able to stream live 4K videos and play graphic-intense games with nearly no latency. Apparently, the phone will allow you to download files at speeds up to 20Gbps. Moreover, the Galaxy S10 G is Samsung's largest phone. With a massive 6.7-inch Dynamic AMOLED display, this one will impossible to hide in case you need that. Another major feature of the 5G-enabled handset is the huge 4,500 mAh battery compatible with SuperFast Charging at 25W. You can even share the battery with Wireless PowerShare and use the phone like a battery pack to wirelessly charge another device. Photographers will love this phone since it comes with six cameras including 3D Depth Cameras in the front and back, which will allow them to take pictures from any angle and position that wish. And for the first time ever, Samsung is adding bokeh effect for video in real time, not just for pictures. The new feature is called Video Live focus and allows users to blur the background while shooting videos with the Galaxy S10 5G. Last but not least, the Galaxy S10 5G is equipped with cameras that give it depth recognition. The phone can measure objects with Quick Measure powered by 3D Depth Camera, a unique feature that might come in handy in some scenarios. Of course, Samsung's upcoming flagship has a lot more to offer, but the South Korean company bets big on these six, which are supposed to keep owners ahead of the curve tech-wise. If the Note 10 comes with these features plus the S-Pen I'll be totally satisfied.